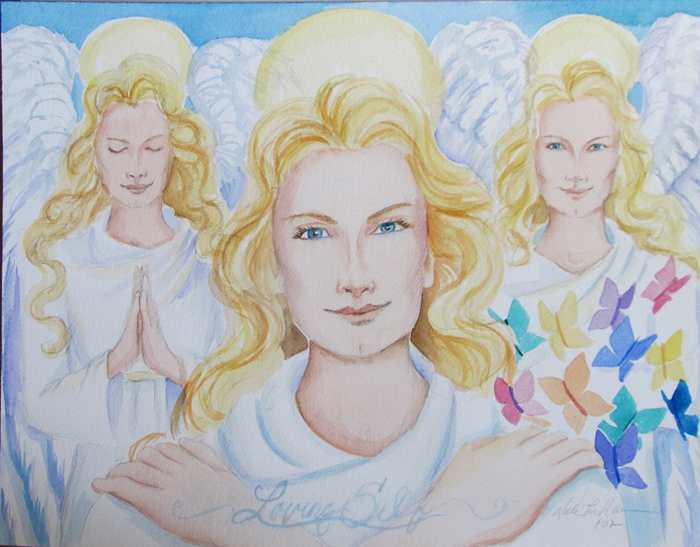 In 1999 I had such a profound dream of Angels that my life changed. 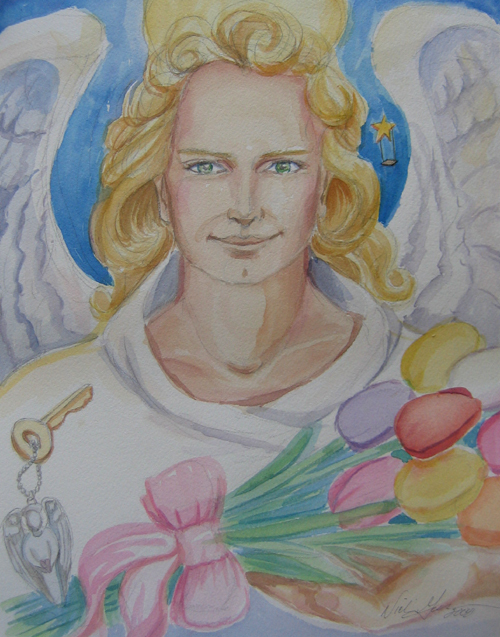 I was a freelance graphic designer at the time, but I knew when I awoke that I needed to paint Angels. I started creating on large canvases, inspired by what I had seen in the dream and by life. 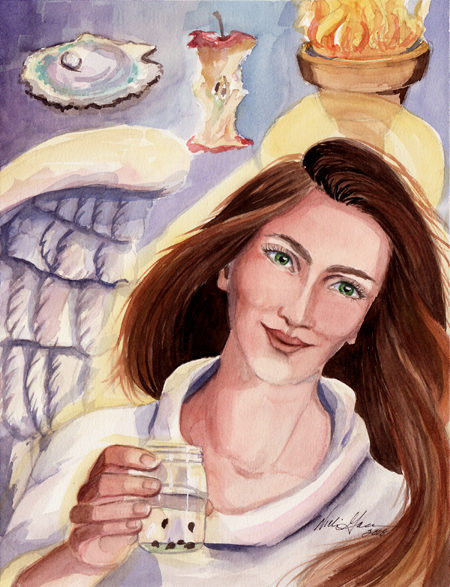 The following year I was told in a reading that I would see visions … not to be afraid, it was a good thing! 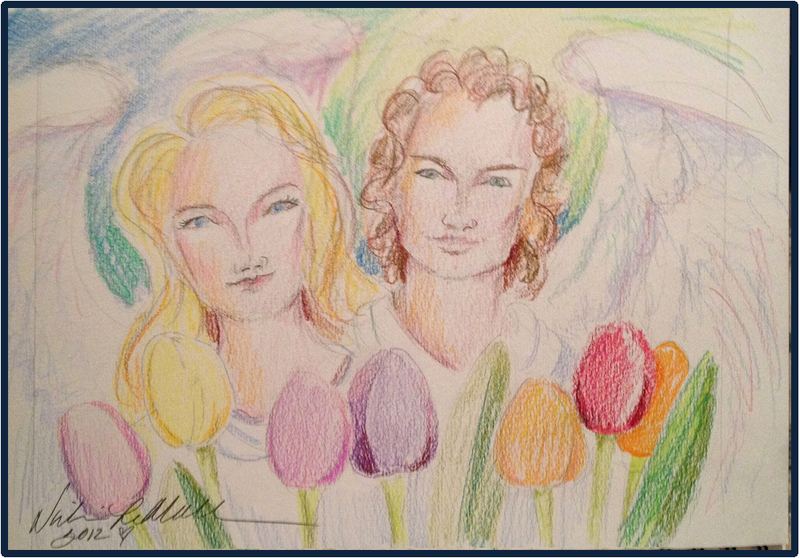 I thought then, wow, what if I could use that visioning with my art abilities to intentionally connect to people’s Spirit Teams and paint them? I received a little push from a dear friend whom I had shared the reading with (like off the cliff) and soared. 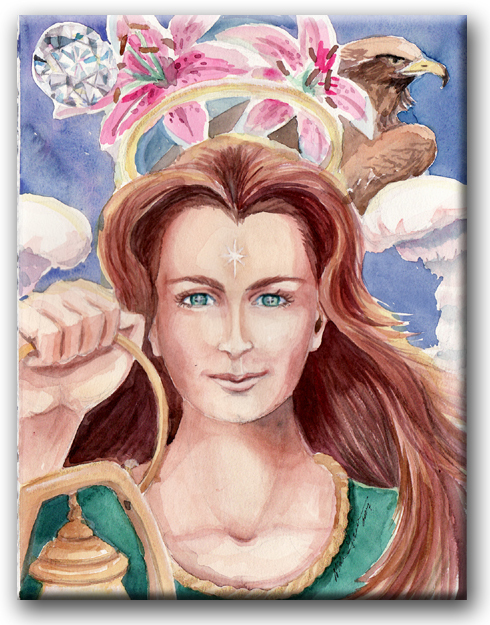 To date I have painted over 300 commissioned Spirit Guide Portraits and each one has been a beautiful and profound encounter. Being the Selenite Gypsy for the past seven years has curtailed my art offerings but now that I am settled with a home studio, I am once again available to paint. I spend 15-20 minutes sitting quietly, connecting with your team. This may be done remotely (I just need a photo where I can see your eyes) or in person. 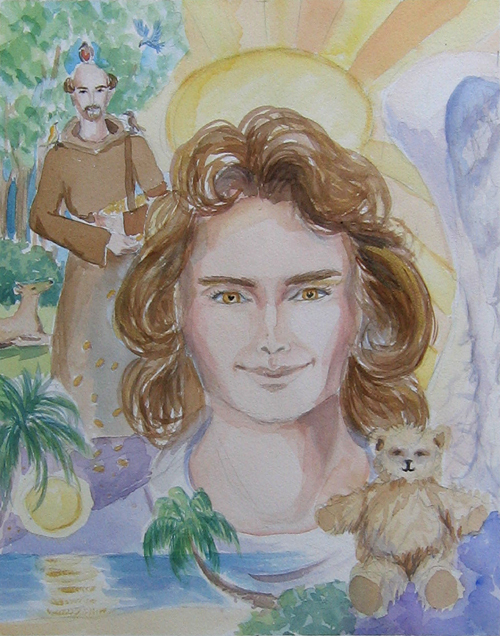 The essence of the interaction I experience with your Angels and Guides is captured in the drawing and I also include a written account of what transpired. They make awesome gifts too! The Watercolor paintings are on cold pressed 140 lb paper and the acrylic paintings are on stretched canvas.